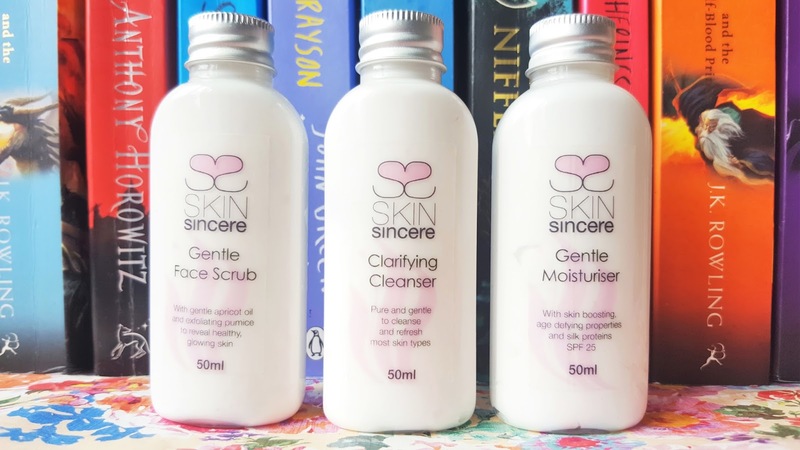 I love discovering new natural skincare brands so I’m delighted to introduce you today to SkinSincere. SkinSincere (founded in 2013) is an organic skincare range with formulas that harnesses the power of natural ingredients and that are specifically designed for those of us with sensitive or dry skin. All products in their beautiful collection are UK manufactured and, because founder Gemma Allies believes in behaving ethically and responsibly, are cruelty-free and made without any nasty parabens or sulphates. I was very kindly sent three adorable travel-sized miniatures from their unscented collection: the Clarifying Cleanser, Gentle Face Scrub and Gentle Moisturiser* (all £7/50ml each). The creamy, rich cleanser contains a simple but effective blend of organic extracts such as apricot, avocado, coconut, plum and palm kernel oils, which gently sink into the skin lifting away the day’s impurities easily and effectively. The facial scrub contains a similar formula with added pumice stone which exfoliates and smoothes skin without any irritation or redness, and finally the moisturiser, with added vitamin E, C, shea butter, olive and sunflower oil, instantly nourishes and hydrates the skin to give a beautiful radiant glow to dull, dehydrated skin. The carefully selected anti-inflammatory ingredients in each product claim to not only are effective against acne and eczema but also, thanks to their abundance of antioxidants, with long-term use, reduce scarring and restore elasticity whilst offering protection from harmful UV rays – thus preventing premature ageing. This lovely little trio is perfect for taking on holiday or to trial a selection of SkinSincere’s bestselling products before investing in the full-size versions. 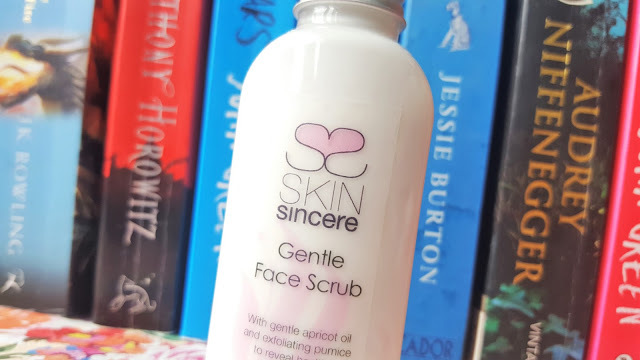 Have you heard of SkinSincere before? Do you have dry or sensitive skin which would benefit from using these gentle skincare products? "Get Ready For Summer with Tiger | Cute Picnic, Garden & BBQ Accessories"
"Pregnancy | 50 Random Questions from a Mum-to-Be"